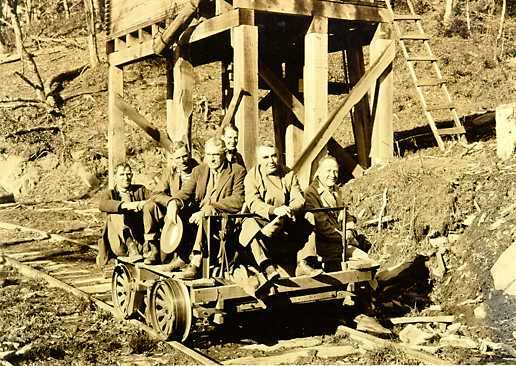 Description: NPS Preliminary Survey Personnel, seated on a hand driven railcar. November 20, 1931. (This image was taken during a photo documentary survey of the Great Smoky Mountains).